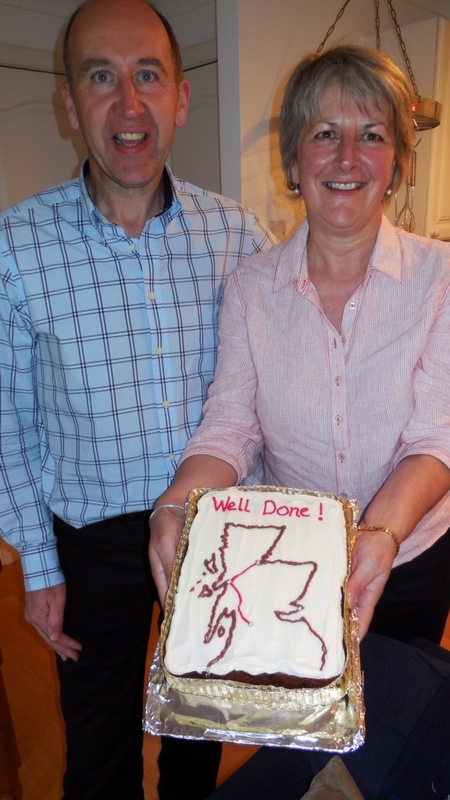 Carole and Beaton brought a cake showing our trekking route. 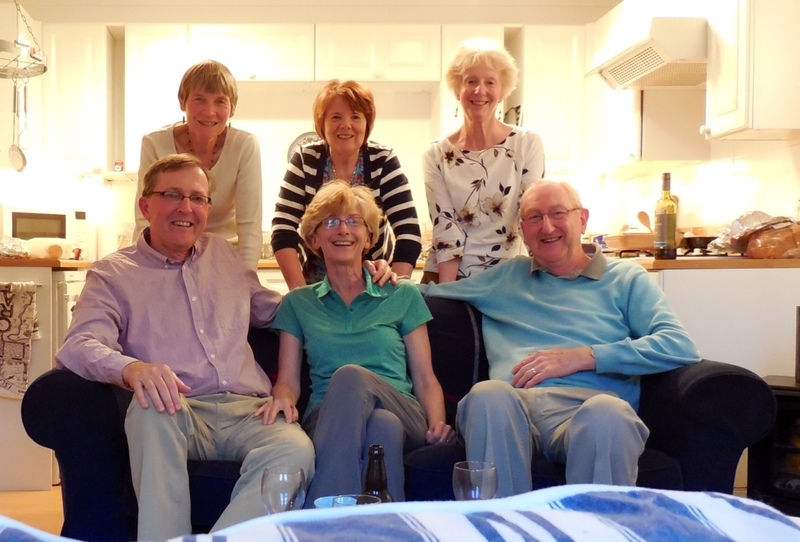 We have had a most enjoyable week in Scotland after our walk, mainly because of the great times visiting with friends we made while living here in 1997-98. We have enjoyed many laughs, trips down memory lane and tasty meals in our times together. 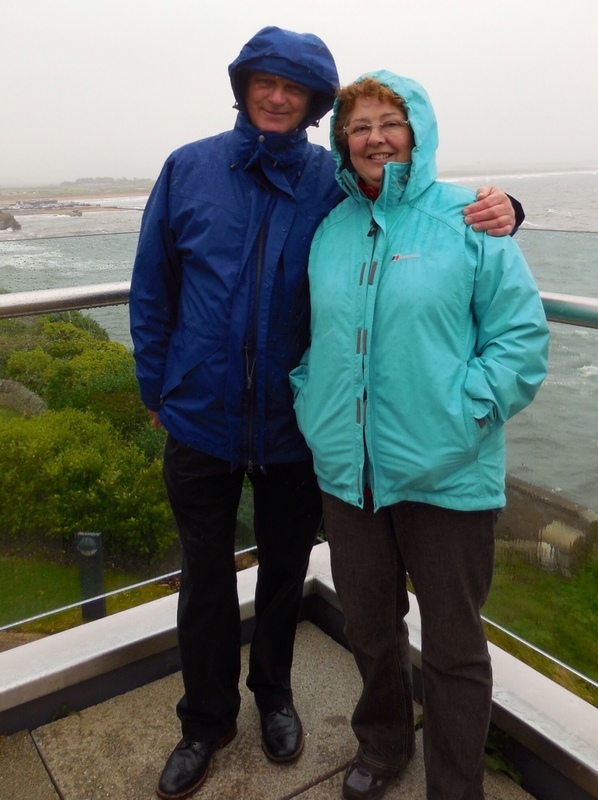 The Scottish weather, as it always does, treated us to a variety of experiences as we have sometimes literally soaked up what the country offers. To our home-away-from-home and to our friends here: We will return! Wendy, Trish, Colina and John joined us for a meal in our wee cottage. Malcolm and Barbara took our family for our first walk in Scotland in 1997. 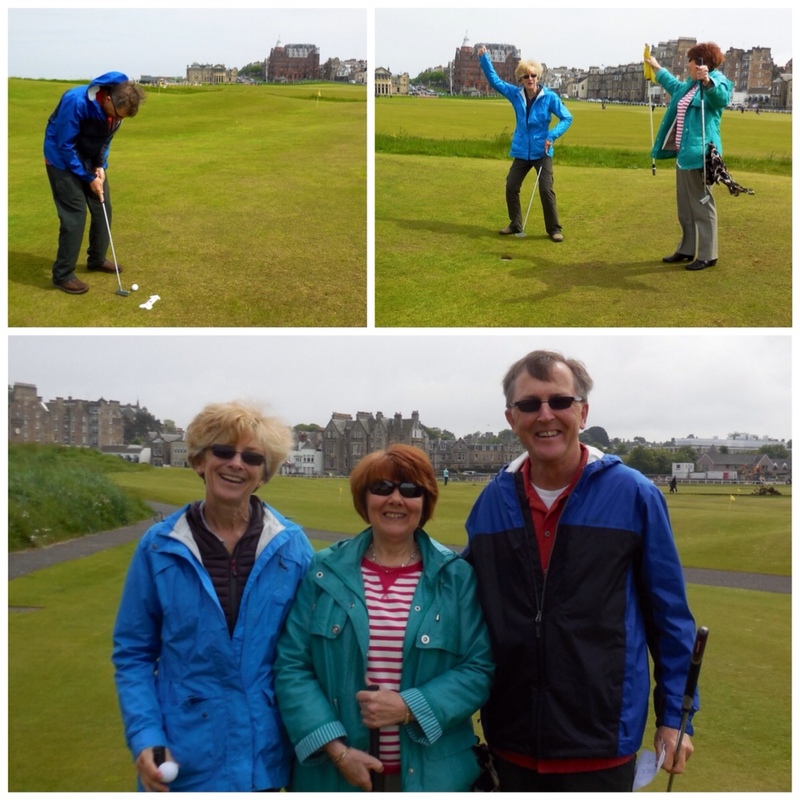 We braved the rain for another trek through St. Andrews, this time in less favorable weather.